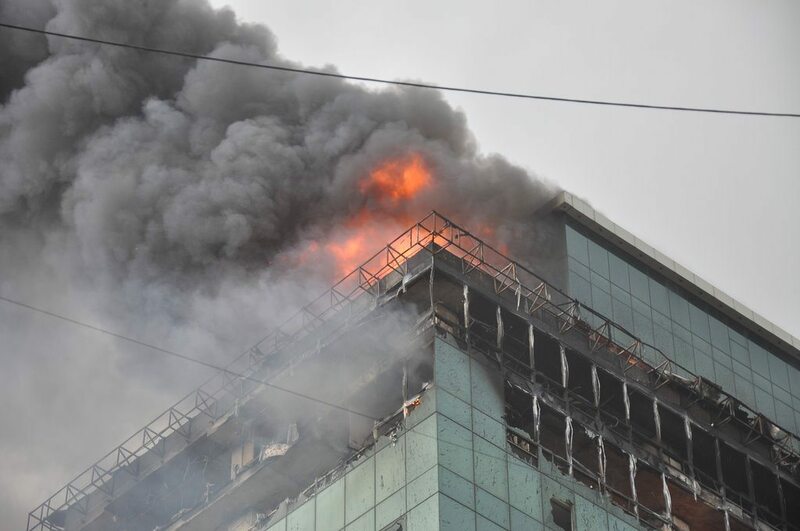 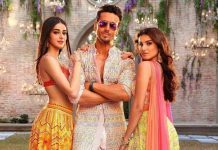 Bollywood mega stars’ office building catches fire. A major fire broke out on the 21st floor of Lotus Business Park building at Andheri, Link road in Mumbai on July 18, 2014. 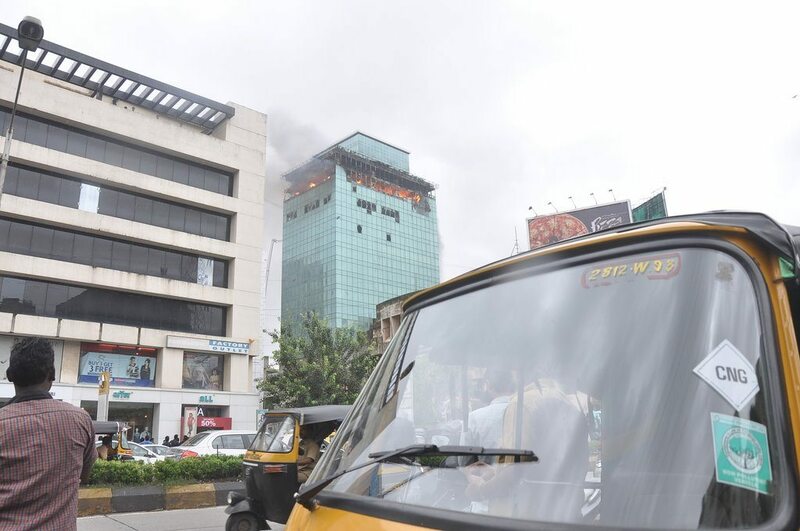 The building houses several offices which included the offices of Bollywood stars Hrithik Roshan and Ajay Devgn. The fire broke out at 10 am in the suburban Andheri West building and the exact cause of the fire is still known. 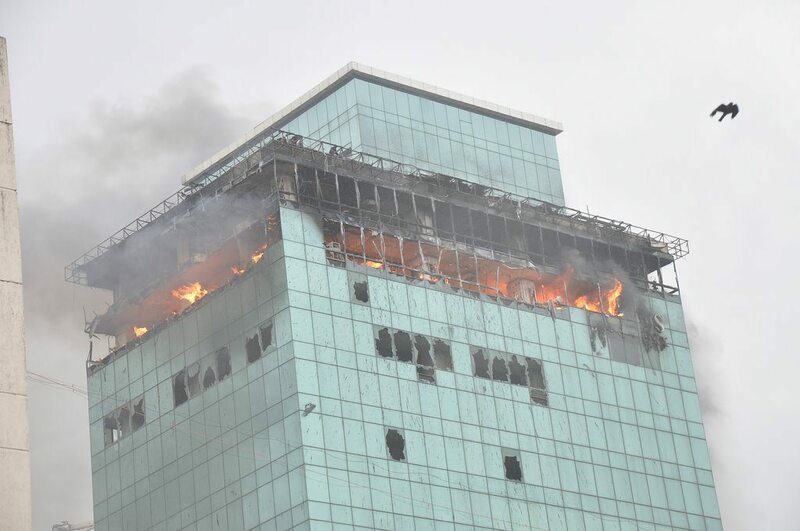 Officials from the Brihanmumbai Municipal Corporation Disaster Control said that no casualties are reported in the blaze on the 21st floor which later spread to the 22nd floor. 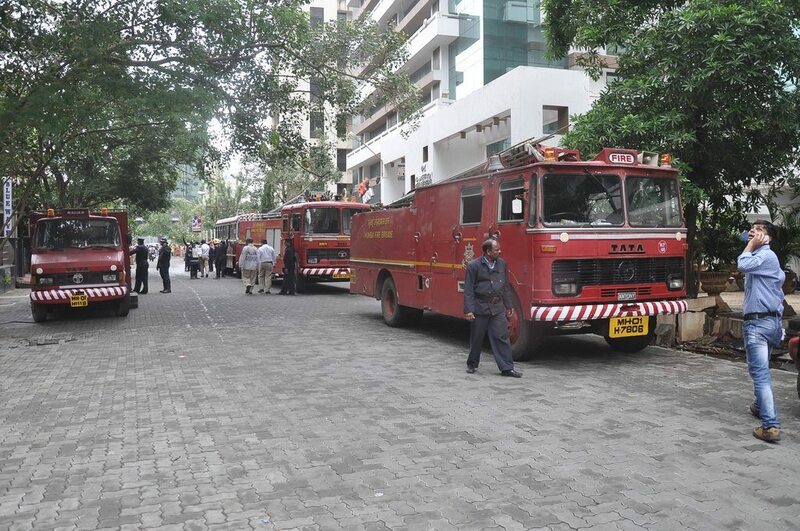 More than two dozen fire fighters worked tirelessly to douse the flames and a few people in the lower floors were evacuated.